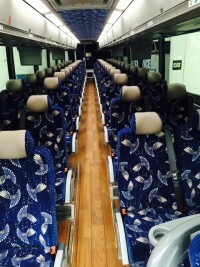 Karmel offers mini buses and full coaches for charter services in Los Angeles. Our mini buses and coaches are the best travel option for large groups. Whether you're going to an amusement park or a tour in L.A., our charter buses are the best way for groups to travel. Our mini coach buses can seat up to 24 passengers, and a large full size motor coaches fit up 1o 55 passengers. Our full coaches in Los Angeles come with rear restroom, monitors, and wireless microphone. Karmel's coaches are great for convention shuttles, concert shuttles, family reunions, and more. Small group transfers and more! 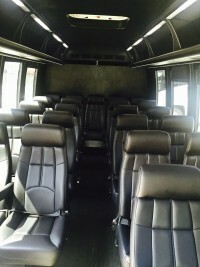 Reserve a mini bus or full coach service in Los Angeles, Orange County, Long Beach, and more! The bus services were spot on. Right on time and excellent clean buses. Great drivers too."